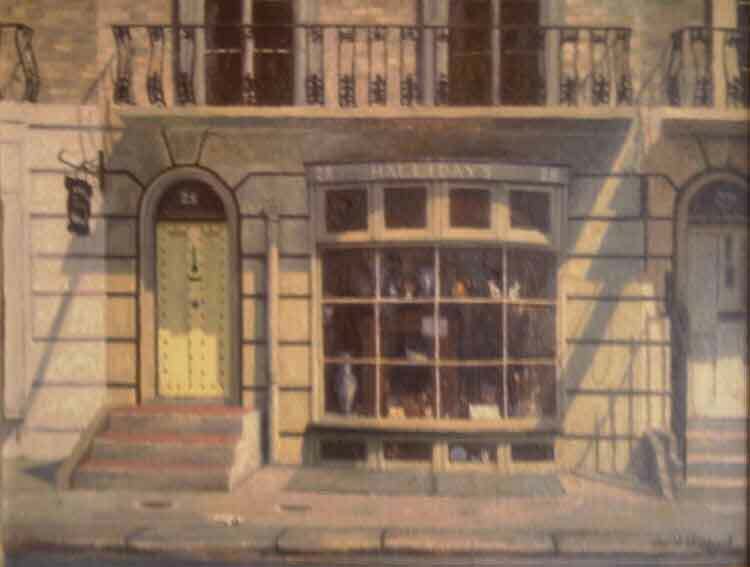 "Hallidays, 28, Beauchamp place, London"
"Hallidays, 28, Beauchamp place, London'"
Image Size 18" x 14"
Overall size with handmade frame 23" x 19"
David Shepherd started his painting career at school in Stowe, and persevered whilst trying to become a game warden in Africa. concentrate fully on his work and begin to develop what was to become his unique style. the rich depth of colour that is always present in his pictures. 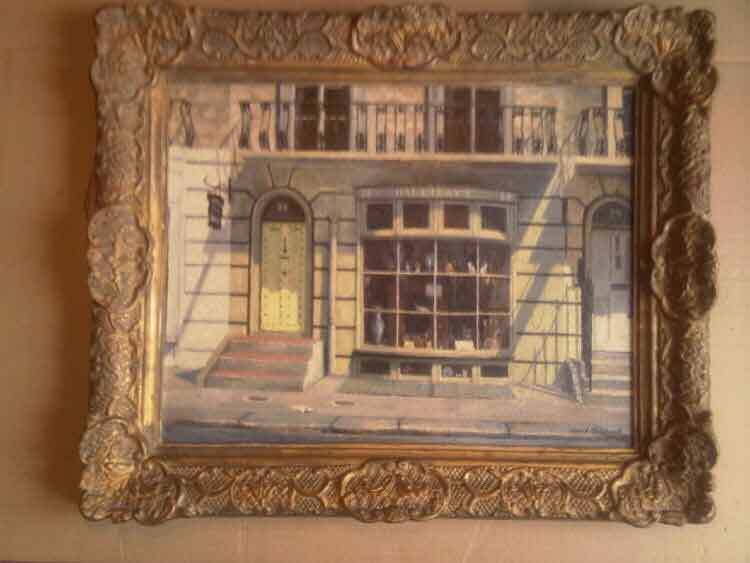 his paintings are now seen as one of the best financial investments available. Studio open 7 days a week!